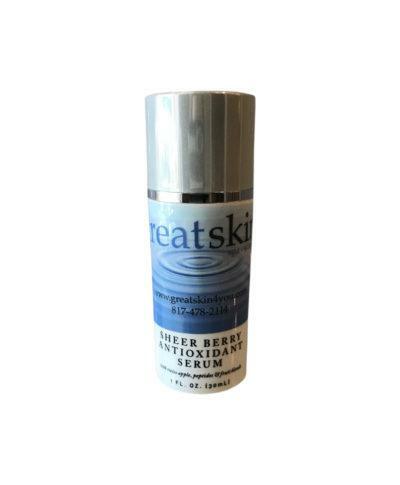 Sheer Berry Antioxidant Serum is a high-powered antioxidant fruit blends and anti-aging peptides provide new ways to quench the skin’s need for protection and free radical fighting power. USE: Apply to cleansed skin before moisturizer or sunscreen for daytime use. During the day, your exposure is higher to free radicals. The formula can be used at night in addition to your nighttime regimen. At night, apply Serum before moisturizer. This formula can be used with your existing product regimen. When using with a serum product, apply the serum first. BENEFITS: These high-powered antioxidant fruit blends and anti-aging peptides provide new ways to quench the skin’s need for protection and free radical fighting power. A combination of fruit acids, resveratrol, and peptides has set the standard of performance for antioxidant products. This product is the highest performing antioxidant private label product available. 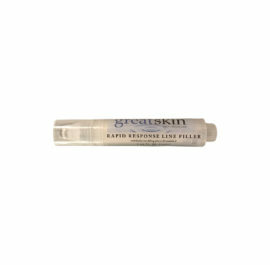 Tested for its potency, this serum contains an ORAC value of 2000 units per gram. This far exceeds the recommended “high” range of 150-300 units per gram provided by an independent testing lab.